President Trump and other top Republicans to campaign in Pennsylvania’s 18th District to campaign for GOP candidate Rep. Rick Saccone. A special election in the Keystone State’s snow-frosted southwestern corner is the hot new race to watch. The congressional seat in Pennsylvania’s 18th district has been in Republican hands for nearly 15 years and with the recent loss in Alabama still smarting, Republicans aim to hold it. 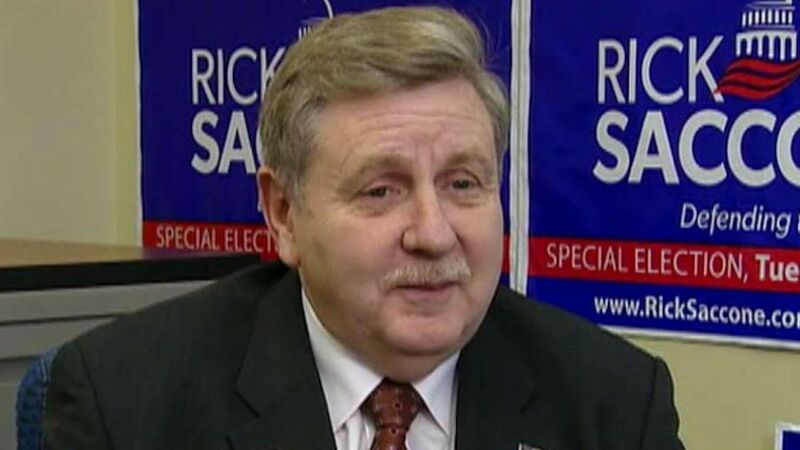 On Thursday, President Trump will hit the political battleground, where he’ll talk taxes and economy, joined during his visit by the Republican candidate, State Rep. Rick Saccone, a full-throated Trump backer who is thrilled the president is coming to town. “This is Trump country. People around here, people in the 18th district love President Trump. As you know he won by 20 points. 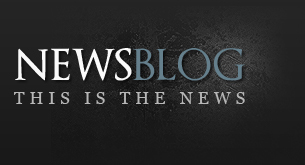 I think he’s more popular today than he was before,” Saccone said. Saccone touts his experience on the campaign trail, including 20 years in the Air Force, counter-intelligence work, a Ph.D. in international affairs and even a year spent serving as a diplomat in North Korea. He argues his diverse background makes him the right person to fill the seat left vacant by Republican Rep. Tim Murphy, who resigned amid allegations he asked a woman with whom he was having an affair to terminate a pregnancy. 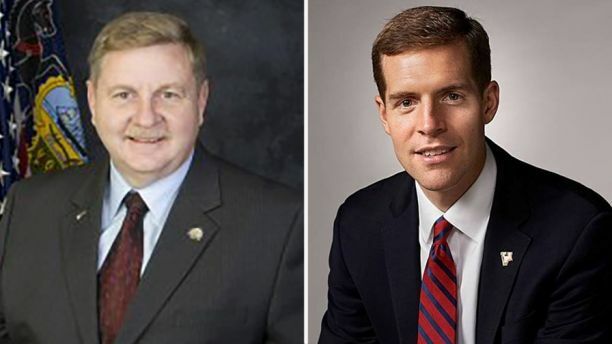 Rick Saccone, left, is challenging Conor Lamb for the congressional seat. Though deep-red flowed from the polls in 2016, Democrats have a 70,000 voter registration edge here and are committed to flipping the seat, selecting political neophyte Conor Lamb. “People are ready for a real contest this time and that’s what we are going to give them,” said Lamb. The 33-year-old former federal prosecutor and Marine Corp veteran is from a politically connected family. Lamb has distanced himself from House Minority leader Nancy Pelosi, is calling for new leadership in Washington and said he’s willing to seek common ground with the president. “If he is going to do anything to help create jobs in western Pennsylvania and to help keep our people safe I will work with him anytime,” Lamb said. The Cook Political Report changed its rating of the race from “likely” to “Lean Republican” last month, giving Lamb supporters hope that the race may be winnable. Outside money is beginning to flow in and Super PAC cash has already put pro-Saccone advertising on local airwaves. Though recent history may favor a GOP victory, Duquesne Political Science Professor Kristen Allen argues a win for the Democrats would be dramatic, potentially spurring the party to take further action. “One win in a state like Pennsylvania, in a district like PA 18, might be just the impetuous that the Democratic party needs to look at some of these races and say, ‘hey, we need to pay attention and put some money in these districts where we have not been giving too much focus or energy or money before,’” said Allen. The special election in Pennsylvania’s 18th congressional district is scheduled for March 13th.